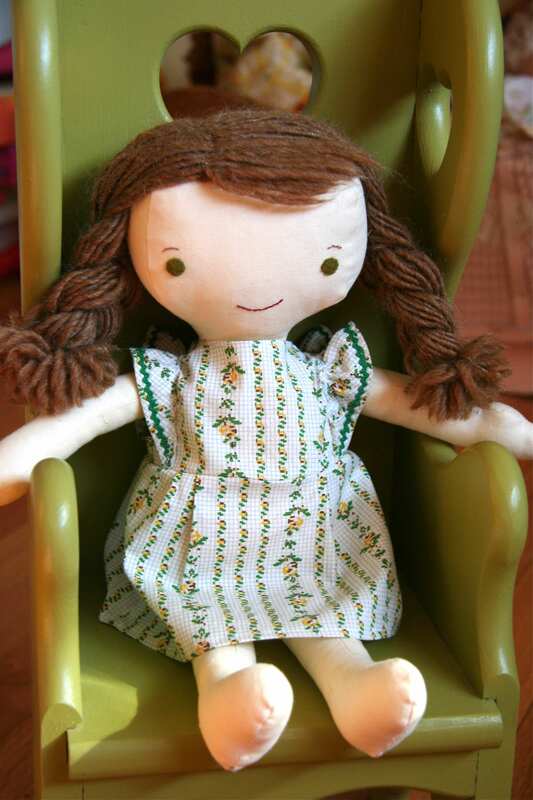 Here’s Louise’s new dress made from the thrifted apron. She’s ready for Spring. I seriously love that dress-and the tiny rickrack. It is just killing me with the cute! That is fairly messy, but I cannot say I’m any better about keeping all of my spaces clean. It’s just never as much fun to clean things up as it is to make more arts or craft more things.